Reflective light technology was used to analyze the Mona Lisa. Photo Credit: BBC. A French scientist claims to have found a portrait underneath the Mona Lisa, causing controversial reactions among specialists. 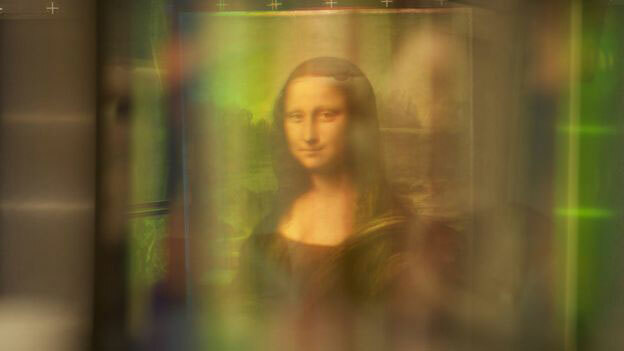 French Scientists Pascal Cotte has announced that after using reflective light technology, for more than ten years, he has found a portrait underneath the Mona Lisa. The picture of a sitter looking off to the side does not include the famous gaze of the Mona Liza, making the painting among the most famous Leonardo’s artworks. The findings were announced at a press conference in Shanghai on Tuesday and will be included in an exhibition, Da Vinci – The Genius, featuring displays of the scientist’s research over the last 11 years. 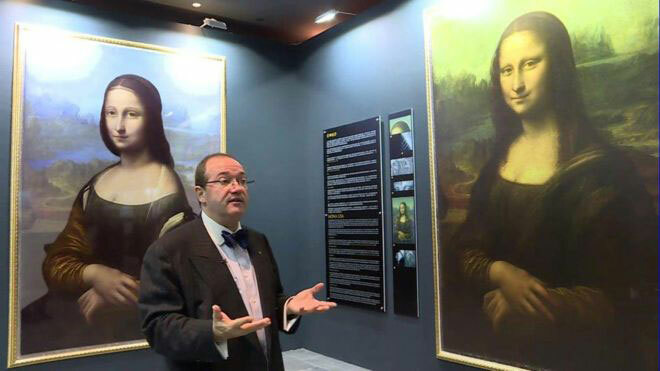 Pascal Cotte is co-founder of Lumiere Technology in Parys and was given access to the painting in 2004 by the Louvre. He has invented a new technique called Layer Amplification Method (LAM). 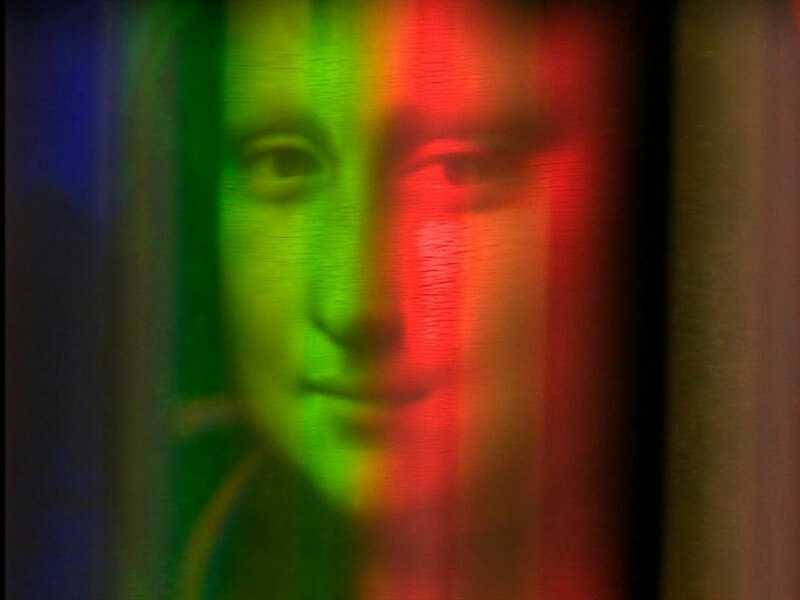 Although several techniques have been used on the Mona Lisa to analyze the painting, such as infrared inspections and multi-spectral scanning, Mr Cotte claims he was able to penetrate more deeply into the painting. After using LAM on the painting he was able to produce a reconstruction of what is hidden between layers of the paint. Mr Cotte’s findings challenge the theory that the painting actually depicts Lisa Gherardini, the wife of a Florentine silk merchant as has been thought. He claims the original Mona Lisa is the one hidden behind the famous artwork. Two more images are hidden under the surface of the painting, according to Mr Cotte. The Louvre Museum, however, has not commented on Mr Cotte’s claims, since it was not part of the scientific team as they said. Various art experts are also sceptical regarding the announcement. Will Gompertz, Arts Editor, said that any analysis should be carried out and supported by the community of experts on the subject instead of one individual. Martin Kemp, Emeritus Professor of the History of Art at the University of Oxford, said that the images found might provide an indication of what Leonardo was thinking about but the theory that a picture is hidden underneath the surface is untenable. In his opinion they represent “a continuous process of evolution”. It is still too early to be sure what the images produced by Mr Cotte might reveal, however, it is a story that has shaken art experts.